Shannon Watts (strangled) & daughters Bella & CeCe (smothered)by Chris Watts. Watts pleads guilty and gets life without parole! Seenit and Hazelnutty like this. The last moments of little Bella Watts’ life were filled with terror and confusion, as the 4-year-old girl walked in on her father disposing of her mother’s body before he turned his ire on her and her sister, an attorney for the victims’ family said. Seenit, Hazelnutty and PommyMommy like this. 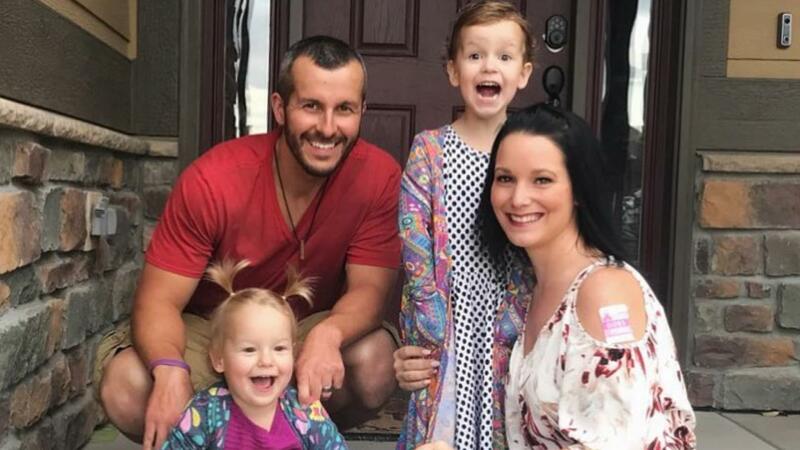 “What are you doing with mommy?” Bella asked her father, Chris Watts, as he wrapped the body of his pregnant wife, Shan’ann Watts, in a sheet after strangling her, Steven Lambert, a lawyer for Shan’ann’s family, said during an appearance on "Dr. Phil." In a clip of the interview, which will air Tuesday and was obtained by People, Lambert told Dr. Phil Chris killed his wife and daughters after he and Shan’ann fought over his affair. molly1255, Seenit, Hazelnutty and 1 other person like this. Seenit, Hazelnutty and Noreen McGurl like this. Lucyray, La Louve, Seenit and 4 others like this. Quinquin I wanted to reply but the thread closed so many threads so many unanswered questions, but I noticed you agree with me and you know it was So Weird watching those police cams!! and I feel like I want to go back and watch those interviews and him messing up because hindsight is 20/20!!! Lucyray, Seenit and PommyMommy like this. Gardenista, Seenit, scdiv and 1 other person like this.
. so what is the truth??? AgeofAquaruis, girlhasnoname, Seenit and 2 others like this. He should have done it that night. Killing yourself in prison would be pretty painful and difficult I imagine. I can't help hoping someday he will be successful. Laura Wallen's killer was watched, every 15 mins, and he managed to kill himself. So perhaps smart CW may manage, as inmates have given him loads of advice. ILikeToBendPages, MsBetsy, girlhasnoname and 4 others like this. I never believe Radar. I'm convinced they are even worse than Daily Mail at making up stories. Synergizer Bunny, Daisy47, molly1255 and 4 others like this. I don't think we have the truth but as it stands, IMO there was one "emotional conversation" and I don't believe CW straddled her for 15-20 minutes before he strangled her. I'm hoping to listen to both parts of the audio again in the next few days because there are some things that still don't gel for me and are not answered by the written report. AgeofAquaruis, Only4Justice, Annicade and 25 others like this. I know, I'm pretty naive..or just a sucker!!! i4ni, Lucyray, kakadu and 15 others like this. Please, no more discussion on the viability of Shanann's company or whether her company was or wasn't a pyramid scheme. No more digging up documents or complaints or anything to do with the function of the company. The fact is Shanann's company is not what we are discussing. If want to discuss if job stress may have contributed to Shanann and Chris' relationship problems please make sure it is in the realm of reality and not the Twilight Zone. AgeofAquaruis, Lexiintoronto, Only4Justice and 24 others like this. My mother had a saying, "If you're right and everybody else is wrong, it's time to come in and take a nap." i4ni, Lucyray, Pasasana and 29 others like this. I guess it would depend If she were sitting up and he straddled around her legs. I can't see him being able to anywhere around her stomach. Looking forward to hear if you find clarifications. sassyblue, Hazelnutty, MassGuy and 1 other person like this. Three entire pages of posts removed due to discussing the product and company that Tricia previously admonished members not to discuss. Next person to re-introduce it into the discussion will be on a minimum 1 week thread reply ban. JDough, Lexiintoronto, Traymar and 17 others like this. Lucyray, kakadu, Mo Thuairim and 18 others like this. Sometimes Radar is right, but even a broken clock is right twice a day. I don't think CW will kill himself-I think he's too much of a coward. He's probably afraid that it will hurt. It's fine doing it to other people but when it comes to himself...With all the blaming he's done, all the shrugging off of horrible decisions he made, even with throwing NK (the woman he was supposedly so in love with) under the bus in the last interview-dude is all about self preservation. I'd be surprised if he committed suicide. Lucyray, angelainwi, Alcina and 22 others like this. Seenit, human, JenniferTx and 4 others like this.